Facebook CEO Mark Zuckerberg is trying to get ahead of global efforts to regulate the platform by proposing his own rules, while a top policy exec dismisses calls to break the company up. Why it matters: Zuckerberg will likely be making the rounds in Washington to talk to lawmakers about the ideas he proposed in a Saturday op-ed, top policy exec Kevin Martin told Axios in an interview. 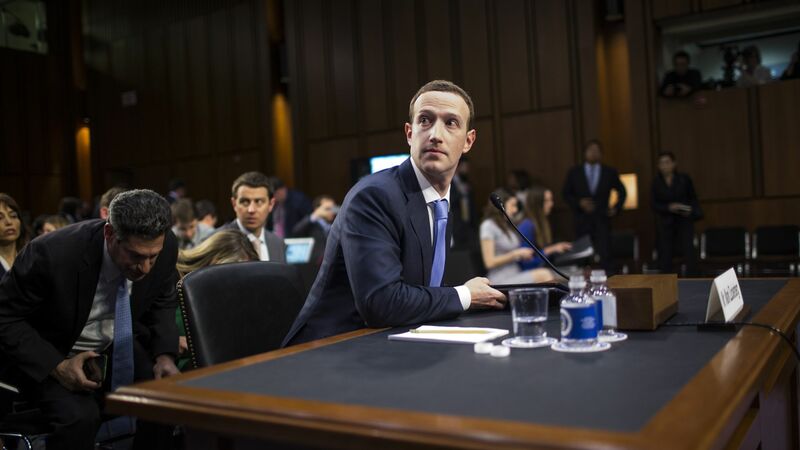 Martin said drastic regulatory actions, such as splitting Facebook apart, won't solve issues around privacy and the spread of harmful content. What they're saying: Martin, Facebook's vice president of U.S. public policy and also former chairman of the Federal Communications Commission under George W. Bush, said consumers wouldn’t benefit from regulators splitting Facebook up from its subsidiaries Instagram and WhatsApp. "I think that from a consumer benefits perspective, that consumers receive lots of benefits by the fact that the companies are owned by one company," he said. A Facebook spokesperson said benefits of its size included the ability to devote significant resources to safety and product development, and more reach for individuals and small businesses. "And I think that to the extent that there are concerns about some of the specific issues, like the content issues, or our use of data, I think we should try to address those directly, but I'm not sure that proposals to break up any particular company in and of themselves are going to address any of the policy concerns around privacy or content moderation or how we should approach elections." Between the lines: A breakup of large tech companies is being championed by presidential candidate Sen. Elizabeth Warren and some progressives, but the idea hasn't caught on widely. Still, global policymakers are increasingly recognizing the need for more regulation of online platforms, particularly around data collection and the spread of malicious content. Zuckerberg said in his Washington Post op-ed that these issues should be addressed with tailored regulation or, in the case of "harmful content," industry self-regulation in the U.S. The call to regulate content alarmed conservatives concerned about government censorship. Martin said critics have nothing to fear. "In the United States, what Mark is talking about trying to do is have some kind of greater industry standards bodies, to be able to both harmonize the approach of the different companies to similar sets of issues, and also to make sure that consumers are able to be better informed by the consistency across the board," he said. "But Mark hasn't called for government regulation at all in the United States, and recognizes and appreciates and supports the continued protection of the First Amendment," he said while noting regulators around the world may be more involved in policing content. Details: Martin compared the proposed standard-setting body to the Motion Picture Association of America's system for rating movies or the Financial Industry Regulatory Authority, the private organization that supervises the securities industry. In-depth conversations about such a body haven't happened yet among major platforms, he said. He noted that internet companies already coordinate on policing some harmful content. Yes, but: Facebook is against efforts to limit the legal protections for user-contributed content that are embodied in section 230 of the Communications Decency Act. Martin said doing so “has the potential to really inhibit and hamper that continued innovation” and that it “wouldn’t address some of the problems” with harmful content, since companies wouldn’t be working from a common set of standards.